A land contract can be a straightforward way for a buyer to purchase a home, with less complication than having to qualify for conventional bank financing. In simplified terms, a land contract is a seller-financed deal where the seller is willing to accept installment payments for the home. In such an arrangement, the seller retains legal ownership until the selling price has been paid off, but the buyer get to enjoy possession and use of the property. There are many powerful advantages for a seller when selling a home through use of a land contract, but also some possible disadvantages. One of the greatest advantages for a homeowner who offers a seller-financed deal is the final bottom line. During conventional financing, when a buyer pays interest on a home loan, that interest goes directly to the bank. 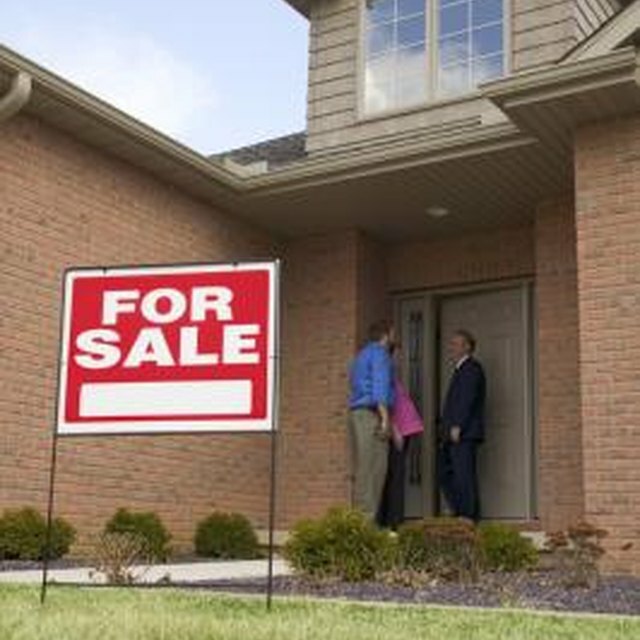 In the case of seller financing, the buyer's interest payment goes into the seller's pocket. According to Lawyers.com, a home that is sold in this manner can yield a higher rate of interest than a seller might receive in a money market account or other low-risk types of investments. If the seller's market is soft, then offering seller financing as part of a home's benefits can create a quick sale. Often, frustrated buyers who cannot get a bank loan through conventional financing jump on the chance to purchase a home with seller financing. A home that doesn't appeal greatly to the mainstream market of home buyers can instantly stand above the crowd as soon as seller financing options are offered. A big disadvantage for sellers who participate in a land contract is that they have to wait for the buyer to pay off the home over a certain number of years. Land contracts can be amortized over any length of time, depending upon terms, but many times a seller may be required to wait 15, even 30 years for the home to be paid in full. A balloon payment might be included so that a buyer has to pay off the balance within a shorter amount of time. With a seller-financed situation, the seller is not only responsible for collecting on any late payments, but is ultimately responsible for initializing any foreclosure proceedings in the event of a default by the buyer. This can be time-consuming, stressful and costly. Although foreclosure on a privately sold home is comparatively quicker than a bank foreclosure, it can still take months to ensure that the property is legally turned over and all tenants have vacated.